Hail doesn’t have to be large to do significant damage to your roofing system. The Haag Certified roofing inspectors at Texas Traditions Roofing can identify all damaged areas that need to be addressed to restore your home after a storm. Our local roofers conduct a thorough inspection and identify damage not necessarily visible to the untrained eye to ensure your roof restoration. Don’t put off your roofing inspection; call us today. Explaining the process, so you know what to expect. Thoroughly inspecting your roof for all damage. Meeting with you and your adjuster at your home to confirm the full scope of work needed to repair your home if necessary. Providing the necessary paperwork as proof of completed repairs. First of all, our team members are Haag Certified damage inspection specialists who have completed thorough training on finding and identifying the full scope of roof damage, especially from hail. Second, we’re local roofers. We know when storms have come through and we have a vested interest in the community, so you know we’ll be here to stand behind our work for years to come. Lastly, during our free inspections, we photograph roof shingles, gutters, skylights, flashing, vent hoods and vent stacks when we find damage. This documentation will assist with your insurance claim. After a major storm, you want verification of your insurance claim and to know how much compensation you will receive. Plus, you want repairs made ASAP. You know that another storm may be on its way and you don’t want to risk water damage. 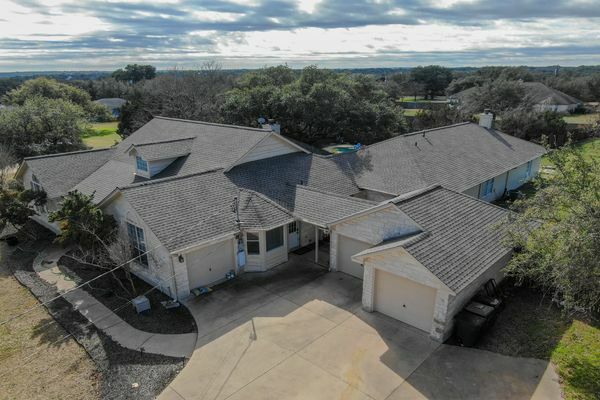 Once you’re ready for your roof repair or replacement, call Texas Traditions Roofing. We’ll send our team of experienced local roofers to make any immediate repairs necessary and repair or re-roof your house. Call (512) 415-4590 today for your free inspection, or fill out our contact form.